The warmth and blessings of holiday gatherings keep the raw cold and unpredictable weather at bay. This break in routine gives me time to think of each of you, who, so generously invite me into your inbox each month, asking questions and responding to my art and writings with encouraging words and appreciation. I reviewed my art, writing and records from the past year. This week, I had no plan, except to reflect on last year and plan the goals for the next! The week before New Years' has become my most effective motivator. I found a lot to celebrate. I am creating selling my work and keeping better records. I have exhibited five shows and taught three workshops. We are just putting the finishing touches on a home addition that increases space for organization and storage of my art and supplies. I need to get better at sharing my work, and writing my weekly posts and monthly newsletters consistently. My decision to choose themes that I am most passionate about will require more reading, dialogue with others and observation. I am excited about spending more time in the studio! Showing up each day around the same time enhances the opportunity for creative growth. Journaling, with words, images and photos and work is done outside of the studio will enrich the series. 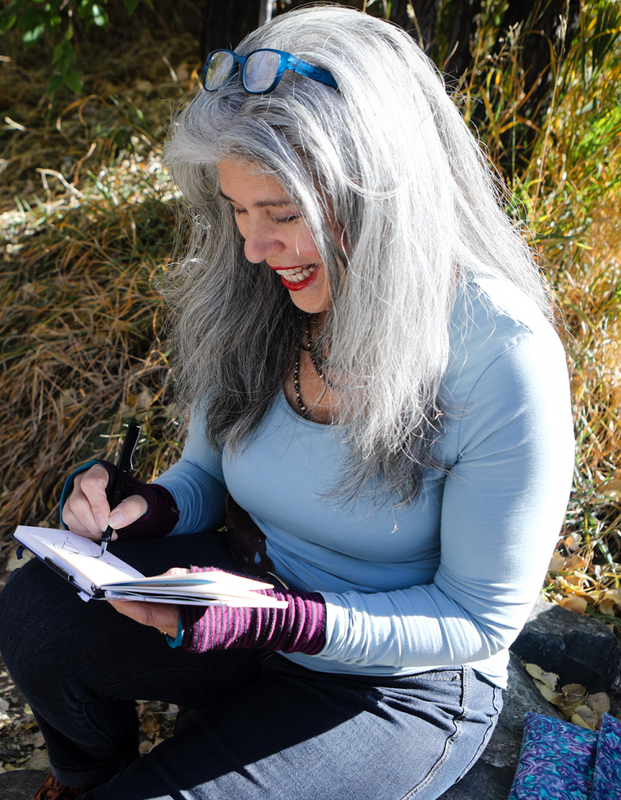 A flexible timeline and comprehensive editorial calendar connecting both art and the writing will coordinate my thoughts and deepen my work, help me to achieve my vision! So how can you make a roadmap? Go to a quiet place and reflect on your year. Get a journal or small notebook where you can write you observations. Reflect on your past year. What would you like to change or further develop? List what worked, and what could be improved. Imagine now, what you would like next year to be. Write down two or 3 goals to achieve your dreams. Then work backward, deciding what tasks you need to do regularly to make those goals happen. Connect it with your calendar. Does this work for you? Share your thoughts and tell me what you've discovered!